Yet looks can be deceiving when it comes to the modern website. Today’s businesses must both look and play the part when it comes to our sites and audiences. Does your business’ site fit the bill? 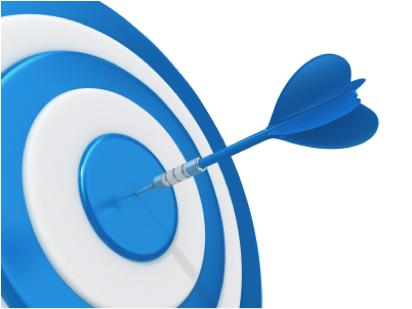 Is your small business site on target? With so many moving pieces when it comes to our sites, it’s easy to overlook the concept of audience. Depending on our industries, our audiences come in many shapes and sizes. While some of us may be going after a relatively niche market, others might be shooting for a much larger demographic. Regardless of who you’re looking to draw to your site, it’s crucial that you understand the intricacies of your audience, what they’re looking for and what they expect from a site in their industry. For example, let’s say you have a business that targets stay-at-home parents. The scope of a site catering to stay-at-home moms may be much different in terms of imagery, design, and content versus a site directed toward stay-at-home dads. While some stay-at-home parent content would work interchangeably between audiences, it’s important to further focus on specific sects within that audience (moms/dads, parents with sons/daughters, parents with one child/multiple children, single parents, etc.). There’s a lot to consider when it comes to targeting our content; however, it’s most important to note how crafting such content makes our businesses look good for Google. The more focused our content is, the more likely our visitors will stick around. Likewise, the keyword strategies of such businesses would be different. While yes, we want everyone who’s interested in dessert in New York to come to our site, it’s much more prudent to focus on long-tail keywords to get people into our funnel. Consider that “New York French bakery” and “New York frozen yogurt” are much less competitive in terms of keywords versus “bakery” or “ice cream” and will ultimately provide more targeted traffic. To bring everything together, an effective website establishes trust. This trust is formed through knowledgeable, unique content, a smart site design and architecture, and a bit of personal touch. What exactly do we mean? Engaging your audience in terms of content and design are absolutely crucial when it comes to establishing trust and ensuring you’re giving them what they want. Based on what you know now, ask yourself: is your site on target for its traffic? How smart is your small business website?